will live forever in this fabulous new Fortis squadron watch. The McDonnell Douglas F-4 Phantom II jet fighter is considered by many to be the last true “pilots” aircraft in active military service. The venerable Phantom, was tricky to fly and had none of the sophisticated computer assisted control systems found on modern jet fighters. Nevertheless, the F-4 remains one of the most popular jet fighters of all time and is the last U.S. fighter to attain “ace” status in the 20th Century by achieving five aerial kills against other enemy fighter aircraft in air-to-air combat. Although the F-4 was retired from service by the United States in 1996, it has lived on in the armed forces of other nations. 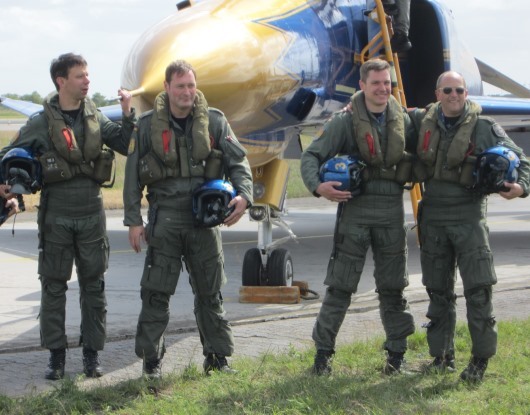 On June 28, 2013 the Phantom F-4F fighter jets of the German Air Force took off for the last time, to be replaced by the Eurofighter Typhoon. To commemorate this historic occasion, Fortis has produced a special “Phantoms Phorever” edition of its popular Flieger Automatic Chronograph Aviator watch. As part of the Fortis Squadron Watch program, the Fortis F-4F Phantoms Phorever watch is being produced in a strictly limited edition of 175 pieces to honor the number of F-4F aircraft flown by the German Air Force. 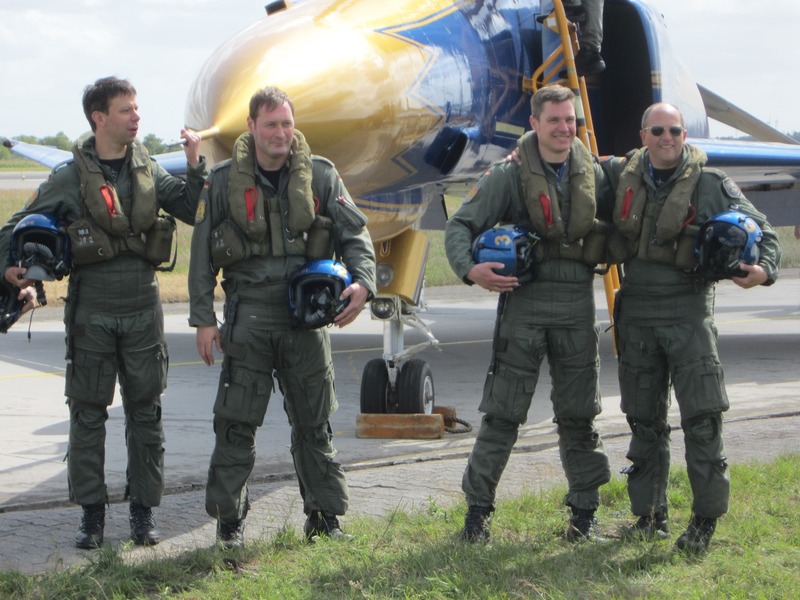 These exclusive limited edition timepieces are emblazoned with the squadron’s own insignia on the dial. The Phantoms Phorever Fortis Flieger Automatic Chronograph features the famous “Phantoms Phorever” slogan encircling the 12-hour subdial at 6 o’clock, an outline of the F-4F aircraft under the continuous small seconds hand at 9 o’clock, and the iconic Phantom “spook” caricature below the day/date indicator. 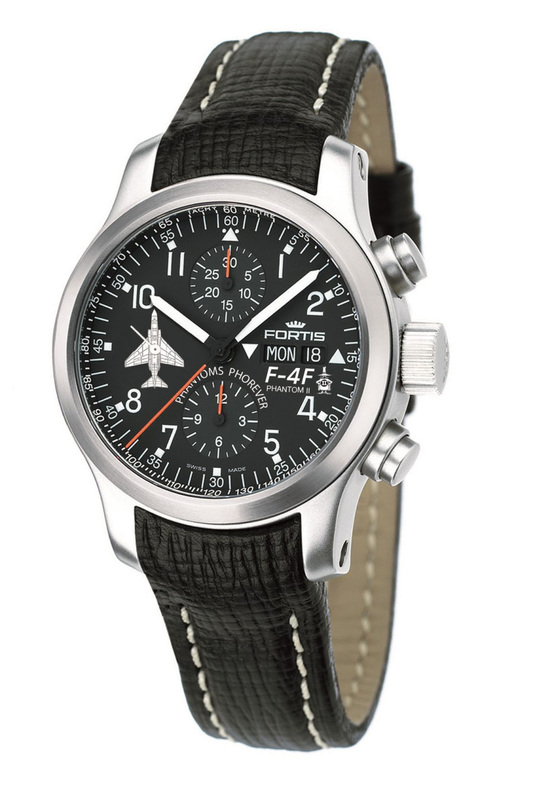 The Fortis name has become synonymous with the kind of toughness that aviators and astronauts depend on. 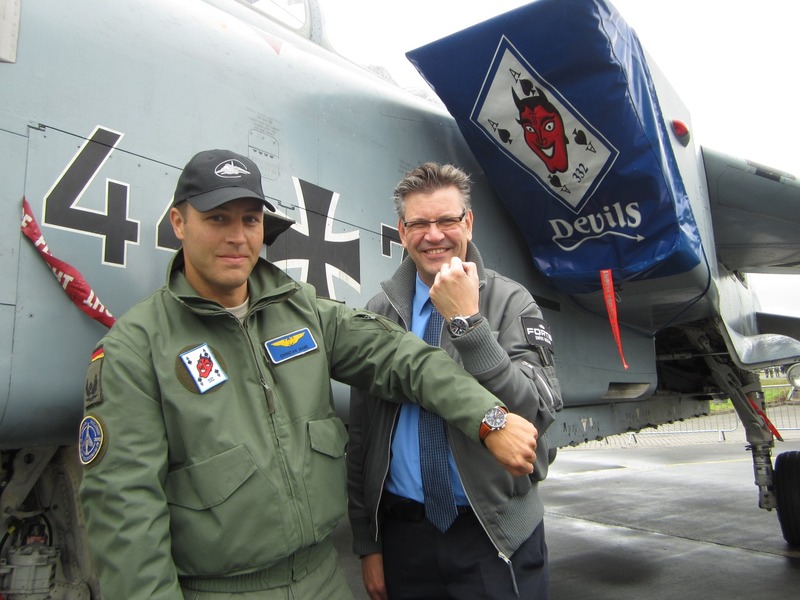 Although the F-4F has been officially retired by the German Air Force, anyone who has flown or appreciated this legendary aircraft can continue to wear their “Phantoms Phorever” watch with pride as a tribute to one of the most significant jet fighters ever produced. To put a Fortis F-4F Phantoms Phorever watch on your own wrist, contact an authorized Fortis dealer immediately. Supplies of this spectacular timepiece are extremely limited. Gevril Group is the sole US and Canadian agent for Fortis Watches. Contact us by email or by calling 845-425-9882. Join the conversation! Like Gevril Group on Facebook and follow us on Twitter and on LinkedIn. Please subscribe to the Gevril Group newsletter and blog.